SKY News Business will screen Diane Sawyer’s Bruce Jenner: The Interview Live to air on Saturday morning at 11.00am AEST -the very same time it airs in the US. That puts it nearly 36 hours ahead of Nine’s 20 / 20 special with the same interview on Sunday night. 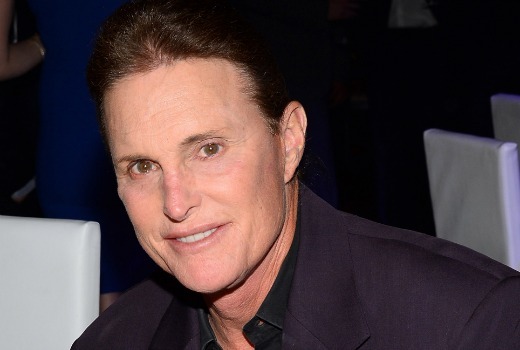 The two–hour tell-all special is expected to include Jenner opening up about his plans to undergo gender reassignment surgery, the importance of family and how his life in the spotlight has shaped him. Jenner has six children, Burt, Cassandra, Brandon, Brody, Kendall and Kylie, as well as four step-children – Kourtney, Kim, Khloe and Rob Kardashian, who feature in the American reality television series “Keeping Up With the Kardashians”. “My whole life has been getting me ready for this,” Jenner said. 11am Saturday on SKY NEWS Business, repeated at 8:00pm. Happened to stumble across the interview while channel surfing and didn’t think I would last more than a minute. But very quickly I was enthralled. What an incredibly open, honest and courageous interview by Jenner, handled exceptionally well by Diane Sawyer. A 65 year struggle with his identity which he has now decided to embrace. I was expecting a flippant Kardashian publicity stunt but it was the complete opposite. The Kardashian’s only featured when Jenner spoke about their reactions to his decision and in a statement from his two biological daughters. Hearing his older biological children speak of their support for their father was moving as was his sister speaking of her struggle with accepting his decision but her and her mother’s unconditional love. A brave decision to go public, but hopefully it brings him the privacy he now desires to live his life as he wishes. seems like an odd channel to show it on. It is, but SKY News is busy with ANZAC Day. At least they beat channel 9 to show it. 9 would advertise it as fast tracked, show 10 minutes. Pull it for no reason. Re schedule it as coming soon and then never hear from it again. Excellent! Now I can watch it with my sister, we are both fascinated with his story. Now that’s fasttracking. Great use of the Business channel as well, considering its usually just repeats on weekends.